This third in a series of hardcover books joins the award-winning titles The Stratocaster Chronicles and The Soul of Tone by author/historian Tom Wheeler. 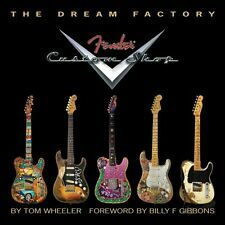 In nearly 600 pages, The Dream Factory features hundreds of full-color photos of incredibly rare, collectible, and limited-edition handcrafted guitars. Learn how the Fender Custom Shop, originally intended to employ just two master craftsmen, grew into the most prolific custom instrument shop in the music industry. Cette ancienne méthode d’harmonie d’Alexis de Garaudé, porte le titre de Théorie pratique de cette science. Il y a 122 pages. Inventory#: 000197188. for Violin. Voicing: Violin. 101 Hit Songs. Condition: New - Unused - Unopened. ROLAND BK-3 BACKING KEYBOARD --- MANUALE DELL'UTENTE, ORIGINALE! The Chord Wheel, The Ultimate Tool for All Musicians Master chord theory. in minutes! The Chord Wheel is a revolutionary device that puts the most essential and practical applications of chord theory into your hands. This limited edition silver-embossed, facsimile-autographed, slipcase holds both books. These books are essential for anyone who is interested in a comprehensive account of the modern guitar, and how a highly responsive guitar is made. They offer info from one of the most-revered luthiers of our times. No publication has ever presented trade secrets and practical information to truly change the way a person makes or appreciates the steel-stringed guitar. Ervin Somogyi is a Hungarian-born master luthier whose guitars are renowned for their responsiveness and tone - trademarks for a great guitar. After almost five decades of making this instrument, teaching and writing about the development and construction of the guitar, Somogyi reveals the methods, techniques and philosophy behind his legendary instruments. Inventory#: 000118349. Prog Rock FAQ traces the controversial, but much misunderstood musical genre through its five-decade history, highlighting the rise, eventual decline, and recent resurgence of one of the most inventive and storied popular musical forms of the latter half of the 20th Century. WALT DISNEY FAVORITES FOR PIANO (Bastien);BOOGIE ROCK & COUNTRY LIVEL 1 (Bastien). 15 SPARTITI NUOVI . Inventory#: 000151793. How Marshall Hiwatt Vox and More Changed the Sound of Music. Art inspired engineering, engineering influenced art, and, as both evolved at breakneck speed, the finest amplifiers in the world were devised and refined on the British Isles. MANUALE DELL'UTENTE PER Boss MICRO BR-80. ufficiale originale ROLAND-BOSS. The vintage guitar collecting market continues to grow. This book is the first of its kind to report on Washburn guitars, mandolins, banjos and ukuleles made before 1940. 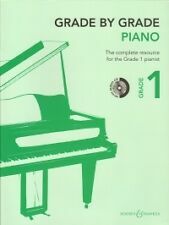 It contains detailed information about more than 450 instrument styles, serial numbering schemes and estimated production totals. A gorgeous 32-page color photo section of the most collectibles will make this book a must for players and collectors alike. BOSS GT-100 V2 ----------- MANUALE DELL'UTENTE in ITALIANO, Originale!!! Inventory#: 000103643. George Gershwin. Composer: George Gershwin. Series: Jazz Play Along. Authorized Dealer: Musical Progressions. Inventory#: 000216057. Rhinestones and Twanging Tones. Rhinestones and Twanging Tones is a unique bundling of the sartorial and six-stringed equipage that defined the look and sound of a generation of country music. IlManuale di organetto diatonico di Andrea Capezzuoli, giunto alla sua prima ristampa, è rivolto sia a neofiti a totale digiuno di musica che a organettisti che vogliono ampliare le proprie conoscenze tecniche e teoriche. The books included and quantities are as follows All books are in like new condition. Inventory#: 000201499. Updatd Edition. Series: Book. Condition: New - Unused - Unopened. With their unique blend of punk aggression, pop sensibilities, and a pained voice that tore into the hearts and souls of anyone listening, Nirvana became the most important band of the '90s. Kurt Cobain not only emerged as the unwitting voice of a generation, but also one of the most misunderstood geniuses ever. This book will hopefully separate fact from fiction and clear up some of the myths and untruths that have grown up around the band and their singer's troubled life by bringing to light a straightforward, day-by-day account of their career and lives. 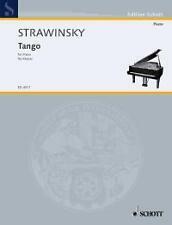 The Official Guide to Steinway Pianos is a compendium from the archives of renowned piano maker Steinway and Sons to encompass - for the first time - reference material and details from 16 decades of Steinway piano making in New York. Thirty years of research and compilation by authors Roy F. Kehl and David R. Kirkland bring to light with thorough precision the production history of Steinway pianos. The Evolution of Jazz Drumming presents a complete historical overview and analysis of jazz drumming. Designed as a guide and workbook for the high school, college level, and professional drummer, it is designed to be studied based on a typical 16-week college semester. A legendary and influential jazz drummer is studied during each of these weeks. Upon completion of the book, the user will have a complete understanding of the influential contributions of these jazz masters, which is necessary for any musician to play this music authentically. The 31 jazz drumming legends included are examined with musical analysis including practice exercises in the style of the subject's drumming, transcriptions of both solo and time playing, and etudes that examine the work of each artist in unprecedented detail. To many vintage guitar fans, it seems inconceivable that Gibson dumped the Sunburst Les Paul in 1960 and, during the following year, introduced a completely new design, the one that we know now as the SG (solid guitar). At the time, however, it made good business sense. Sales of the Les Paul were faltering, and Gibson decided to blow a breath of fresh air through its solidbody electric guitar line. The company described the result as an ultra-thin, hand-contoured, double-cutaway body. The modernistic amalgam of bevels and points and angles was a radical departure, and this new book tells the story of all the SG models that followed: the Junior, Special, Standard, Custom, and more. This the first volume of the Rhythmical Alchemy Playshop series. It focuses on hand drumming games for a group of players sitting in a circle facing each other. The drum circle games in this volume are designed for all the people in the circle to play some sort of drum. Many of these same games can be easily adapted to use all hand percussion or a mixture of both drums and percussion, and we still call the group a drum circle. While these rhythm games offer fun and enjoyment for those who participate, they also teach the individuals about aspects of cooperative and collaborative rhythmical music making. A compelling story of prodigious talent, personal adventures and raw human vulnerability, 'JACO' presents the world of the bass guitar phenomenon Jaco Pastorius through the eyes of his family and various musical collaborators. Produced by the Metallica bassist Robert Trujillo, and directed by Paul Marchand and Stephen Kijak, this blistering biopic contains incredible unseen footage and photography from the Pastorius family archive, and takes viewers into the heart and soul of this hugely influential cross-genre artist. The Go-Betweens were formed in 1978 when two students at Queensland University in Australia, Grant McLennan and Robert Forster, met. Unlike many other bands, they played perfectly formed, timelessly beautiful, guitar-oriented pop songs from the outset. In 2005 their ninth and final album, Oceans Apart, was released and received the renowned ARIA Award. The great Grant McLennan died unexpectedly on May 6, 2006. This songbook, with a foreword by Robert Forster, an extensive history of the band by Klaus Walter, music and texts for 26 of their best and most popular songs (including: Lee Remick - Cattle and Cane - Streets of Your Town - Finding You - and more), and previously unpublished photographs is dedicated to the memory of Grant McLennan. Text in English and German. Ausgehend von einem Überblick, werden alle für den Praxiseinsatz relevanten Funktionen in anschaulichen Beispielen ausführlich behandelt, sodass Sie in kurzer Zeit lernen, wie Sie Komplete Kontrol optimal für Ihren eigenen Studio-Workflow einsetzen. Inventory#: 048023240. The Nordic Fiddler. Learn traditional pieces from Denmark, Finland, Iceland, Norway and Sweden. Violin Edition with CD. Series: Chamber Music. Format: Softcover and CD. 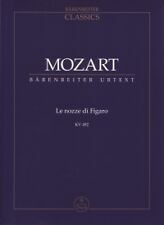 Publisher: Boosey and Hawkes. One of the most frequently produced new musicals of the last decade, 13 is a rollicking musical comedy featuring a cast exclusively made up of teenagers. Thirteen 13-year-olds, as a matter of fact. Evan Goldman is two months from turning 13 years old, living happily in New York City, the greatest city on Earth, when his world is blown apart by his parents' divorce, and he is dragged away from home to live with his mother in a small town in the Midwest. Spice up your playing with The Guitar Cookbook! Written by Guitar Player magazine music editor Jesse Gress, this collection of recipes for satisfying a wide variety of musical appetites is for beginning to advanced guitarists. It covers all the ingredients for cooking up great music on the guitar: music notation, tuning, intonation, rhythm, melody, scales, motifs, harmony, ear-training, technique, improvisation and much more. Players will develop a personalized musical vocabulary; learn how to apply it to many different styles; master basic guitar techniques; and let the musical ideas sizzle!. This new version of Tony Bacon's Six Decades of the Fender Telecaster shows how the world's first commercially successful solidbody electric guitar still attracts musicians more than 60 years since its birth in California. Today, it is more popular than ever and for many guitarists has overtaken the Stratocaster as the Fender to own and play. The Tele is the longest-lived solidbody electric, played by everyone from Muddy Waters to Keith Richards, from Radiohead to Snow Patrol. Its sheer simplicity and versatility are vividly illustrated here through interviews with Jeff Beck, James Burton, Bill Kirchen, John 5, and more. Ettore Berlioz. Edizione Ricordi, 1912. This budget-saving pack includes the Hal Leonard Irish Bouzouki Method (HL00696348) book with online audio taught by Roger Landes, and the instructional DVD Learn to Play the Irish Bouzouki (HL00641674) from Homespun featuring Zan McLeod. Zan teaches tunings, basic scales and chords, and explores traditional reels, jigs and slip jigs including: Lady Anne Montgomery - The Galway Rambler - Kesh Jig - Barney Bralligan's - and The Butterfly. 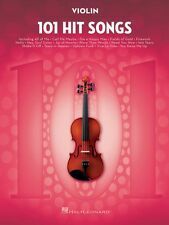 The book covers topics including playing position; tuning; picking and strumming patterns; learning the fretboard; double jigs, slip jigs and reels; arpeggios; traditional Irish songs; and more. Inventory#: 000330589. Behind the Glass. Format: Softcover. Series: Book. Pages: 336. Inventory#: 050449528. While the book focuses on classic big band and jazz styles, the core information about horn harmony and arranging can be used for any style, from hip-hop to ska. Covers: writing and voicing techniques; soli, background and shout choruses; special effects; creating your own style; and more. Inventory#: 048024423. Waggon Wheels. New edtion of the popular Waggon Wheels in a new design and with CD! They introduce 2nd, 3rd and 4th finger notes and slurred bowing. 26 Pieces for Violin Players Book/CD. Inventory#: 000320433. Steve Vai, Billy Sheehan, Tony MacAlpine, Virgil Donati, Dave Weiner - Live in London! Steve Vai Live at the Astoria London. Artist: Steve Vai. Format: DVD. Condition: New - Unused - Unopened. Inventory#: 000198753. Shooting pianos, miking chickens, recording bass (guitar, that is) on a submarine. Add your own color and excite your imagination! Recording Unhinged Coloring Book. Since we're all about getting a little unhinged, you might want to make it fun. Inventory#: 014025717. Playalong Cello Classical Tunes. An exciting collection of classical tunes arranged for Grade 2-3 cellists to enjoy. Authorized Dealer: Musical Progressions.